Pizzabook is an independent web project designed to turn your facebook profile into a weird animated pizza adventure. Pizzabook uses the most recent version of the Chrome browser and the browser plug-in called Stylish. 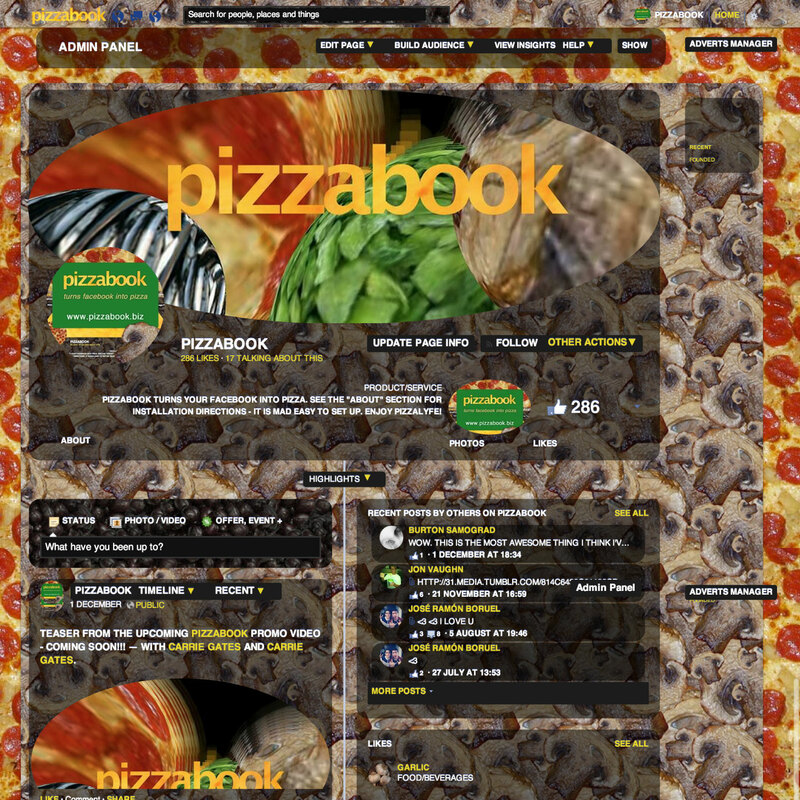 The Pizzabook interface is installed through the Stylish plug-in’s website. Pizza Makes Everything Tastier! Even Social Networking!